This is to treat gout. Eliminate pain & prevent gout. Shape: Round shape White Tablets. 10 X 10 Aluminium Strips kept in a multicolor laminated box. Allopurinol reduces the production of uric acid in our body. 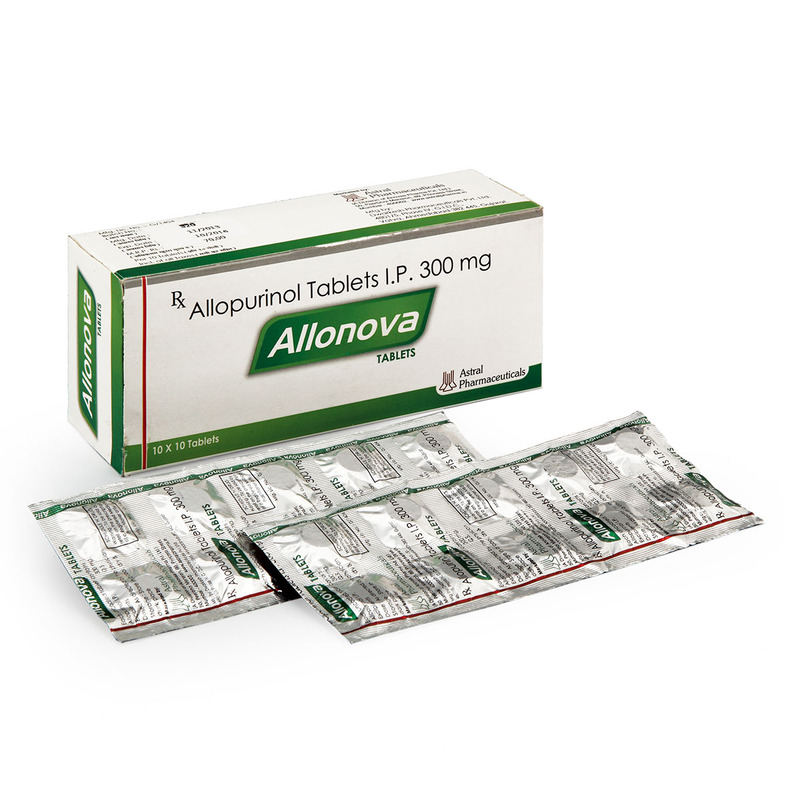 Allopurinol is used to treat gout or kidney stones, and to decrease levels of uric acid in people who are receiving cancer treatment. Side effects possible: Should be immediately taken care of by medical doctor.